One of the first things many people do when buying a property is renovate it. 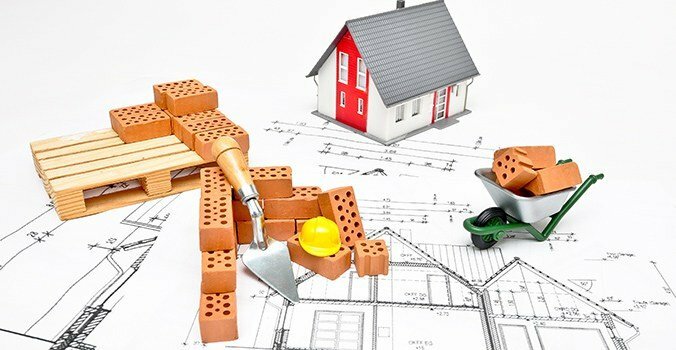 The expenses from the renovation and improvement of a property can reduce the tax on capital gains in the event that it is evidenced in the future sale of the property. It is important to clarify that repair or preservation costs for the property are not deductible. Deductions only apply to renovations or improvements that increase the value of the property compared to before they were made. The cost of improvements would be added to the price paid in the sale, resulting in lower capital gains due to the difference between the price to transfer the property and the purchase price, which means less tax would be paid to the Tax Agency. This will be so provided that such renovation and improvement works can be evidenced so that the Tax Agency can accept them. Below, you will find what I consider to be the most important aspects to be able to prove the works carried out for tax purposes. Having an architect draft a project and oversee the execution of the works is not a minor issue. If the works to be carried out are of a certain scale, it is always best to have a professional perform follow-up and control since he or she would be liable if something goes wrong. Likewise, having carried out the works with a technical project and a final works certificate can be used to evidence the improvements made in be property before the Tax Agency. If you are going to renovate a property, it is always necessary to get a building permit for both major and minor works. It is true that this is often not requested to save money, for instance when renovating the inside of a home or a room, as there are less chance you will be found out. To evidence the lawfulness of the works –provided that it complies with the permit granted–. Likewise, it is important for you to know that, if there is an accident at the building site, not having a permit may entail consequences of criminal liability for the owner. When it comes to works where the distribution of the property will change, the constructed area will be enlarged or a new home will be built, the building permit –among other documents, such as the final works certificate and the permit for initial occupation– will be necessary to register this new construction in the Property Register. When selling a home with profit, the building permit will serve to prove to the Tax Agency that improvements were made so as to request that these are taken into account as part of the purchase price of the home. Having a building permit is more important in terms of urban-planning and criminal law than in terms of taxes. It is very important to sign a contract for the works to be carried out with the builder. The construction contract will mainly evidence which is the construction company that performs the works, the type of works to be carried out, their estimated cost and the location where they will take place. Without a doubt, in terms of taxation, this is the most important requirement for the Treasury to recognise this improvement or renovation. We often find homeowners who have spent a lot of money on improving their properties but who have no invoices issued by the builder or proof of payment for these works. It is essential to prove to the Tax Agency that these amounts have been paid by bank transfer or personal cheques made out to the construction company. If you have no way to prove these payments, it will be impossible for you to include these improvements in the purchase price of the property. You must always request an invoice and keep proof of payment. The costs of the improvements will be added to the purchase price because of which you will pay less Capital Gain tax. The Capital Gain tax of this moment is 19% over the profit between the purchase and sales price minus the deductions. It is possible that, for the works you intend to carry out in your home, it is not possible to obtain a building permit, for instance in works to enlarge a home in non-urban land –rural land–, increasing the surface area beyond the development potential –such as when enclosing a balcony– or building to a height higher than that allowed. The first thing you should take into account is that, as the owner, you will assume the legal liability that may arise if legal proceedings are brought in connection with these works without a permit. If you will be carrying out such works, it is important for you to sign a construction contract with the builder, for you to obtain an invoice for each payment and for payments to be made by bank transfer or cheque. Even if you do not have a permit, it would be possible for these improvements to be taken into account when selling the property. The Tax Agency cannot reject improvement works for not having a building permit –inspecting urban planning law is outside their jurisdiction–, for which reason it is important for you to be able to evidence the works that were effectively carried out, what their cost was and submit payment documents. In these cases, it would not be a bad idea to have a technician draw up some type of report –not a project– explaining how the property was before and the works that have been performed, providing photographs and documentation from the owner. This is an additional document that can be used to prove improvement works. The New Construction Deed is a document signed before a Notary Public to register a building in the Property Register in Spain. Even when the construction does not have a building permit, it is possible for it to access the Property Register in Spain –which does not mean it is legal– provided that a series of requirements are met. If you have built a pool, garage, storeroom, etc. in Andalusia without a licence, it is possible for you to get an architect to issue a certificate of age six years after completion, to evidence the new construction and its age. This certificate can be used to sign a Deed of Declaration of New Construction before a Notary Public and register the construction in the Property Register. In some cases, it would not be possible to register it in the Register, such as when the land is especially protected. The value of New Construction assigned in the Deed cannot in itself be used to prove to the Treasury how much was spent on the property at the moment of selling. For instance, if you declare, in the Deed, that you have spent 50,000 euros on the pool and garage you built, unless you have proof of payment and invoices from the construction company, the Treasury will reject this expense. This is so because what you do before the notary is nothing more than a statement, which means that the Notary does not check if you really spent that amount or if it was more or less –and isn't required to do so–. In my opinion, if you are going to do a Declaration of New Construction for works without a licence, you should include a copy of the invoices and/or proof of payment to the constructor in the Deed, as this would evidence the value you declared and make it easier for the Treasury to accept it when selling the property.